This illustration explains the above statement more easily. As shown in the picture on the left, the water drank from our product has pure hydrogen produced from the ion exchange between the drinking water and the reaction water and the harmful gas generated by the reaction water is expelled through the connected channel that has a in-built harmful gas removal filter. 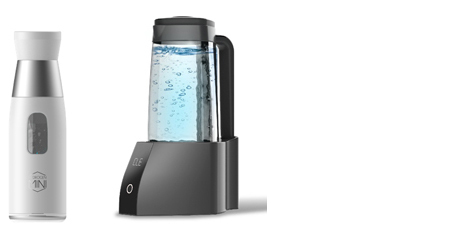 Therefore, the product is specialized to provide users with drinkable hydrogen water and protect them from harmful gas.